The runners are back for more pulse-pounding action in the second installment to "The Maze Runner" franchise, "Maze Runner: The Scorch Trials." Director Wes Ball returns with the original cast in this action-packed sequel that continues the exciting adventure based on the novels by James Dashner. After being rescued from the maze, the runners find themselves in a mysterious compound. Are they really saved, or is something sinister still controlling their fate? As the pieces to the puzzle come together, Thomas and his young comrades begin to realize that their journey is more complex than they could have ever imagined. "Maze Runner: The Scorch Trials" is an adventurous and fun thrill ride. The sequel spreads its wings with a plethora of epic new locations and colorful new characters. Although the plot seems a tad more contrived than the first film, charismatic actor Dylan O'Brien continues to lead the way with his mesmerizing performance as the main protagonist, Thomas. The movie also feels a little less sincere, but the amped up Hollywood-caliber visuals effects make this installment more grandiose and expansive with well-choreographed action sequences and a faster moving storyline that propels us quickly to the inevitable cliffhanger. We liked that it was a serious action flick with little romance and almost no comedic relief and it does a nice job of setting up anticipation for the next chapter. There are also some genuinely entertaining horror elements that elevate this movie beyond sci-fi. 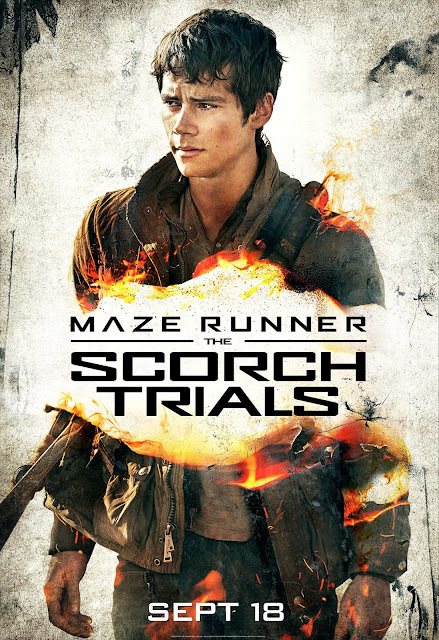 If you're a fan of the first "Maze Runner" like we were, grab a ticket and go see "Scorch Trials." Movie theater snacks are oversized and high in calories. For a tantalizing treat that is kind to the waistline, try a hot dog. A Nathan's hot dog with ketchup, relish and mustard from Regal Movie Theaters is less than 300 calories, and it's packed with protein so you'll feel satisfied throughout the show!